It’s been snowing all morning. I miss seeing green even though I love the look of newly fallen snow. 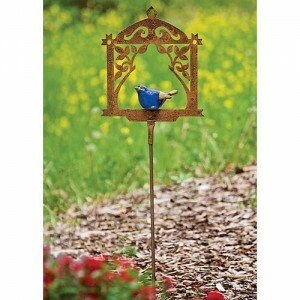 I’m planning ahead and would love to get whimsical garden stakes for my little backyard garden. Maybe bird themed? and just the right garden gnome figurine. Any suggestions? Please write me.